The site of a new nitrogen fertilizer plant in Tuscola, Ill. The plant is slated to be built on 240-acres of farmland and bring 2,000 construction jobs and 175 permanent jobs to the area. Atac said he hoped to break ground in 2015 in Tuscola with plans to complete the plant by early 2017. Company officials could not be reached over the past week and several state and Tuscola officials did not return calls and emails. However, earlier this spring local officials said they understood Cronus was putting the final financing in place and construction on the plant would take three years. Douglas County Highway Engineer James Crane said in April that the schedule is based on securing final financing. “They are working with the banks and on Wall Street for the final financing package,” he said. The announcement of the project in 2014 followed more than two years of negotiations between Cronus and state local officials. The discussions, which began June 2012, resulted in more than $50 million of government incentives and tax breaks for Cronus. Many economic hopes depend on the fertilizer plant. Cronus is expected to bring up to 2,000 construction jobs, 200 permanent jobs, and millions in waste water sales from the Urbana and Champaign Sanitary District – an agreement alone valued at $2 million annually. Aerial photo of downtown Tuscola on March 21, 2016. The town of more than 4,400 has an estimated unemployment rate of just over 5 percent, according to the Census Bureau. Since the announcement, Cronus has worked to obtain property owner signatures for access to land near the site and to find a general contractor to build the plant and surrounding facilities. Most recently Cronus Chemicals said it finalized a deal in February with Tecnimont and KBR Inc. to be the general contractors on the project. The global contracting and construction firms signed a joint venture agreement for the engineering, procurement and construction of the plant, according to Tecnimont’s parent company, Maire Tecnimont. In March, Brian Moody, executive director of Tuscola Chamber and Economic Development Inc., said he expected infrastructure work to begin this summer. However, other local officials say that construction on the 240 acres of farmland isn’t likely to begin until spring 2017. Nationally, about 50 fertilizer plant projects have been announced in the U.S. since 2013, according to ammoniaindustry.com, which closely follows the industry construction. The boom in construction was spurred by low prices for natural gas, which the plants use in producing fertilizer. Some projects are on schedule, but others have had delays, seen budgets rise or been cancelled. For example, a plant in Spiritwood, North Dakota, was announced in September 2012 but cancelled in August 2015 after its budget soared from $1.1 billion to more than $3.0 billion, according to ammoniaindustry.com. The Iowa Fertilizer Co. plant in Wever, Iowa, currently in the construction phase, has been troubled since 2015. The project has had a series of setbacks, including contractor lawsuits, changes in ownership, EPA violations and bomb threats. The cost of the project was initially estimated at $1.4 billion with a mid-2015 completion date but has since risen to $1.9 billion with a mid- to late-2016 completion date. Brian Moody, executive director of Tuscola Chamber and Economic Development Inc., speaks about the new fertilizer plant in March from his office in Tuscola. Moody said then he expected the infrastructure work to begin this summer. Other plants in the construction phase include the Port Neal plant near Sioux City, Iowa, which has seen its budget jump from $1.7 billion to $2.3 billion but has remained on schedule. A project in Donaldsonville, Louisiana, had a budget increase from $3.8 billion to $4.2 billion. 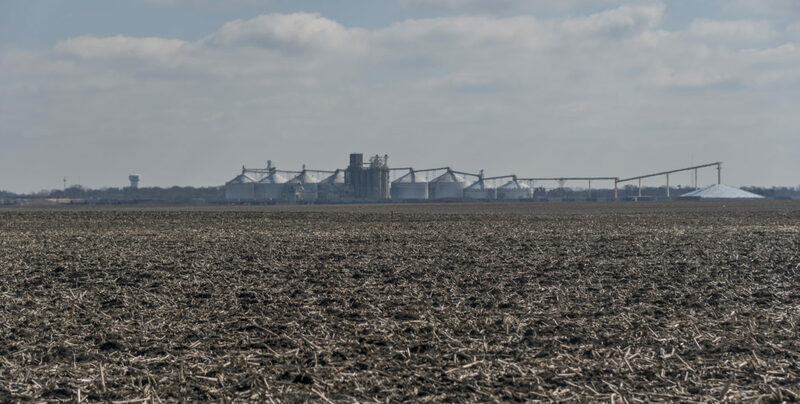 Patrick Westhoff, a University of Missouri agricultural economist who follows the industry, said fertilizer plants are so costly and the building time so lengthy that it is no wonder that there are often delays, increases in costs and cancellations. This spring, Moody in Tuscola said he has tracked the progress of 15 plants in the United States since he began working on the Cronus project. He noted that only three or four have been completed but said that Cronus has been consistent in its efforts all along. “The big driver is [that] the owner’s group is putting in a large equity piece, and that’s really what’s driving it forward and making it a desirable project,” Moody said. Karyna Rodriguez contributed to this story.